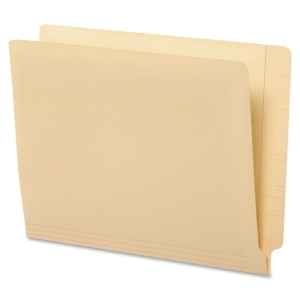 End tab file folders deliver strength, durability and efficiency with embossed end tab for easy label positioning. The front height offers space for labels on top and end. Folders are scored for 3/4" expansion and are made of 11 point stock. Tabs are 1/2" wide. SFI Certified.